Click image to magnify. 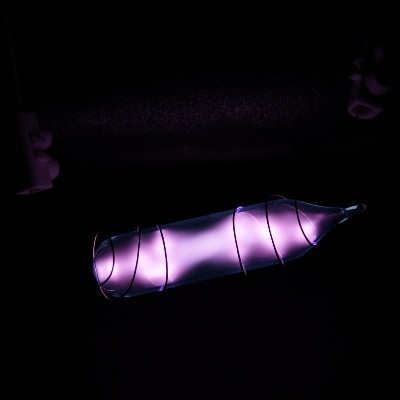 Vial of glowing ultrapure helium. Original size in cm: 1 x 5. How to make gases glow. About 20% of the visible matter in the universe is helium, but because it is so light and doesn't react chemically with anything, it escaped from Earth into space, when the solar system was young. So now it is quite rare here. Nonetheless it has multiple applications, from making balloons fly to cooling things to extremely low temperatures with liquid helium. 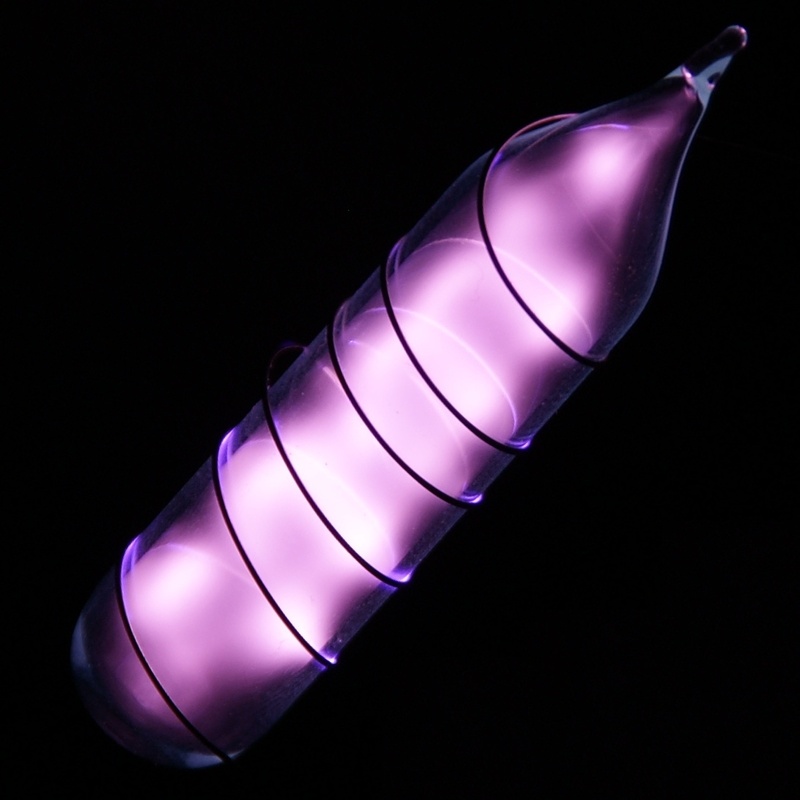 Helium 4 nuclei are emitted at radioactive α-decays, this is the only reason why we have helium on Earth. Once it is in the air, it ascents to the uppermost layers of the atmosphere. Right: Photo © SOHO - EIT Consortium, ESA, NASA. 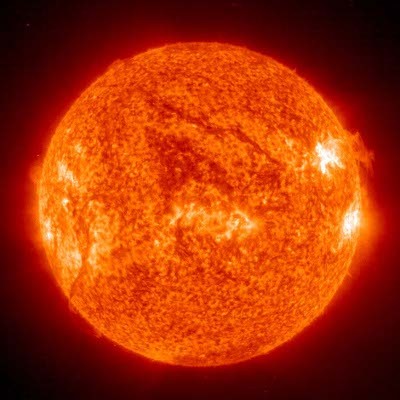 The Sun (helium accounts for about 24% of its mass) in ultraviolet light, which is emitted by ionized helium atoms. 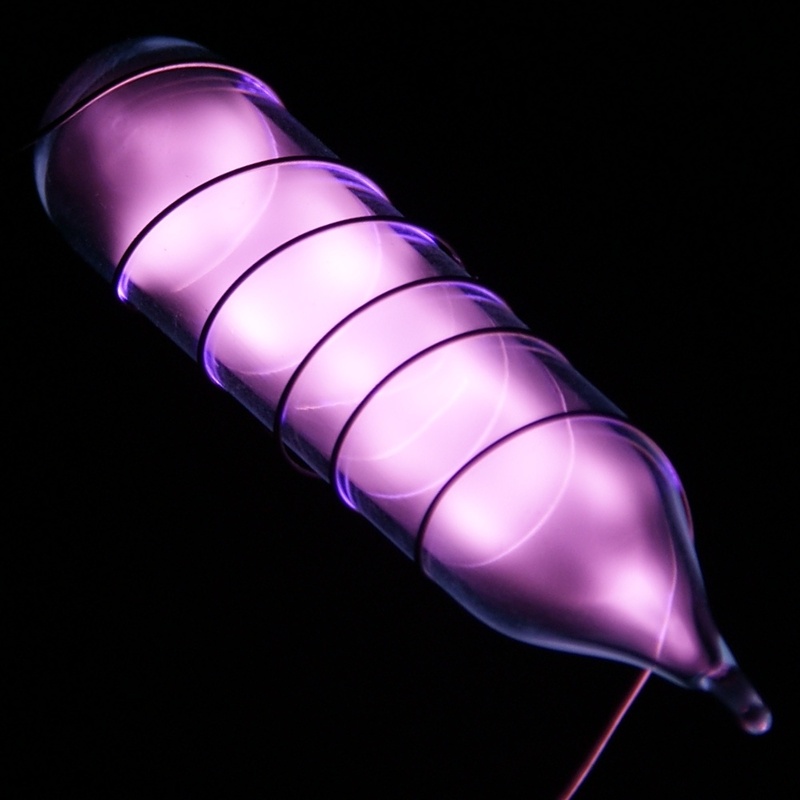 Helium was discovered in the Sun first, before it was found on Earth.